Every year around our anniversary I pull out our wedding video and make my hubby suffer through it. Our favorite part of the video is at the end – seeing everyone at our reception. The videographer tried to interview as many people as possible during the reception and he asked the attendees to give us well-wishes some advice for our marriage. I love seeing everyone get awkward in front of the camera and then tell us how happy they are for us and that they hope we have a happy life together. Well, marriage is about a lot more than happiness – it’s about commitment, patience, trust, and love. I hate to break it to you, but you won’t always be happy in marriage. You will make each other crazy! But we are committed and at the end of every rough patch and bump in the road is a close friendship and memories made. My favorite advice came from my grandmother who advised my husband to buy me a horse. He hasn’t quite taken that advice though – I’m still waiting for that horse! My husband loved the advice from a long-time married couple who simply said, “Make it work!” Well, that’s not quite truth. You don’t know what life will hold and you don’t know what challenges your marriage will face, but you will have some difficult times. But YOU aren’t the person who makes it work. Nope, Christ has a big hand in the situation. Without Him, I can promise that we would fail many times over. So, God makes it work and we’re simply being obedient and trusting in Him. Most of what we’ve learned about marriage has come from just living it out and praying through our problems as we face them. One of the most helpful things for our marriage has been letting go of our expectations and focusing 100% on the other person, rather than what that person can or should do for the other spouse. We’ve learned how to truly listen and we’ve both learned huge lessons in forgiveness. 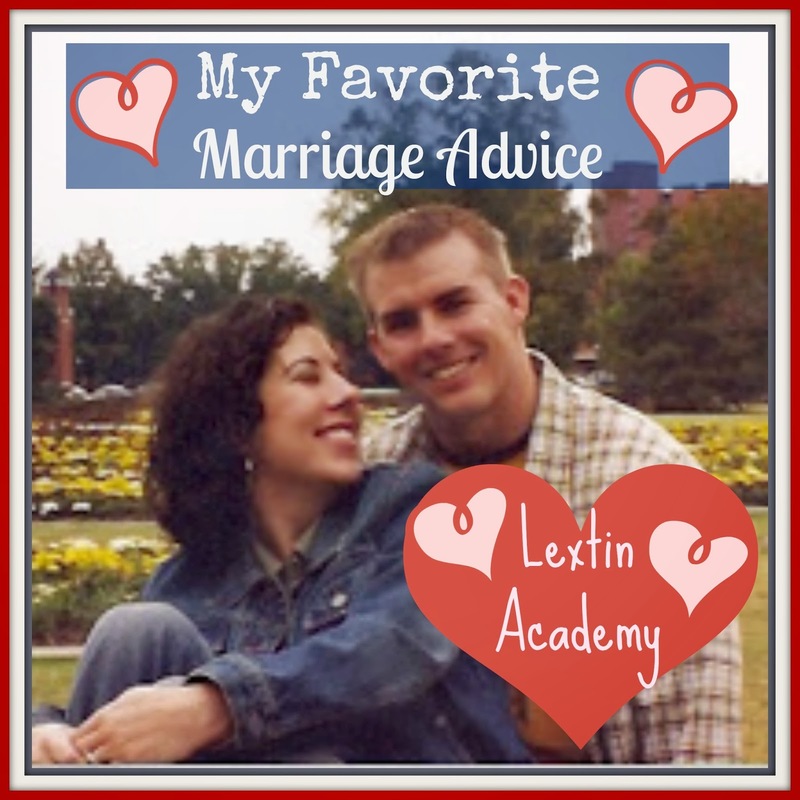 No amount of advice can prepare you for experiencing the day-to-day situations in your marriage. And unfortunately, we’ve learned some things the hard way. But we’re always grateful for those lessons. So, much of the advice on our video wasn’t quite taken to heart in our marriage. But we do have one piece of advice that is our absolute favorite. Near the end of our video, the microphone was handed to a little boy named Paul. Paul has Downs Syndrome. He is a little boy that I babysat for years. I watched him and his sister for several summers when I was in high school. In our video he eagerly grabbed the mic and put it right up to his mouth, “BBBBBBLATTTTT!” he yelled into the microphone. We laugh hysterically each time we watch. He reminded us to find humor together and prepare for the totally unexpected. I think Paul’s word was the best advice anyone gave. Let’s face it, no one is exactly an expert on the subject – no one can tell me what works in MY marriage. The only example I should follow is Christ – He is the perfect model of commitment, forgiveness, and love. So, for all those so-called marriage experts out there………BLAT! I don’t think I want your advice. I love your blog and am glad I found it! (thank you, Pintrest!) I look forward to reading more often. And yes, Paul was right, keep it light and funny. God first, the rest will follow.